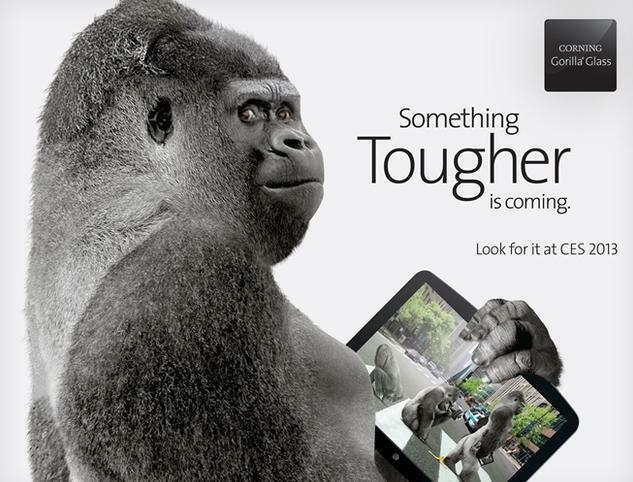 The next iteration of Gorilla Glass will make an appearance at next week's CES, and Corning is promising some massive improvements. The company teased the "latest glass technologies" in a short press release, but didn't delve into many details. Engadget, however, got a lead on the new tech, saying that it's now three times as strong as Gorilla Glass 2. Sounds like someone's been eating a bit of spinach. On a molecular level, Corning has implemented a feature called Native Damage Resistance (NDR) that reduces flaws and scratches while maintaining the screen's strength. We'll see just how strong the new tech is during CES next week, where Corning will show off demonstrations at its booth. CORNING, N.Y. – Corning Incorporated (NYSE: GLW) today announced its plans for the International Consumer Electronics Show (CES) in Las Vegas next week. The Corning booth, #14813 Central Hall, will highlight the company's newest specialty glass solutions and their benefits for today's consumer electronics device trends. Corning plans to introduce two new products at CES 2013: Corning® Gorilla® Glass 3, a new glass composition with durability enhancements; and Optical Cables by Corning, fiber-based, device-to-device connectivity solutions that significantly extend the data transmission range past the limits of copper-based cables. Full product details will be included in announcements planned for Monday, Jan. 7.